For those who do not know you; can you please introduce yourself? My name is Sandy Gholston. My professional experience is diverse. I spent 10-plus years working at a newspaper as a sports writer, columnist, photographer and designer. I have 11 years of experience working first in marketing and then in public relations and social media at Ferris State University. I am also one of the radio announcers for several of our Ferris State sports (football, men’s basketball, and women’s basketball). I started my own business, SG3 Communications, in 2017. When was SG3 Communications? Tell us a little bit about your background. In July 2017, I decided to branch out into entrepreneurship when I established SG3 Communications, to provide businesses, especially small businesses, with Wall Street-caliber digital marketing services at Main Street prices. I see so many small businesses working hard to make ends meet. Some may not have the knowledge or skill to deliver critical digital marketing services. That’s where I come in. With my experience, I knew I could provide high-caliber services small businesses need at prices they can afford. 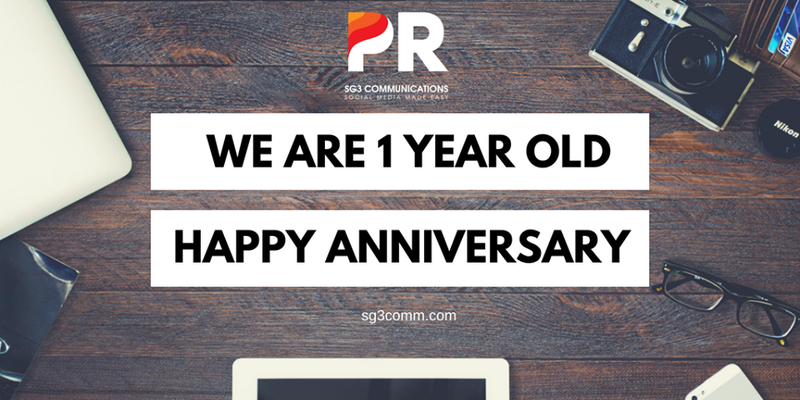 We noticed SG3 Communications is much more than just a digital media agency. Can you explain how SG3 Communications is different? In addition to many of the digital media services we offer, we also provide crisis communication services in case your businesses finds itself in a difficult situation with the public and/or media. We can come in and help strategize to minimize damage to your brand. We can also come in, beforehand, and strategize about potential troubles that could be on the horizon to take a proactive approach. We can work on press releases for businesses that have big announcements that could be attractive to media. If you’re unsure, let us know. When we’re under contract, we’re an experienced sounding board for your ideas. SG3 Communications is a partner, not just a set of services. Share about your 3 favorite Digital Marketing case studies. What did you like most about them? One of my favorites is Wendy’s. I’ve always been intrigued by its willingness to engage with its audience, real time. It takes a great deal of skill and quick thinking to pull this off without doing damage to your brand. The humor and sarcasm walks a fine line. But, so far, Wendy’s has done well. Being a PR and social media manager, I was very intrigued by the approach and the strategy behind it. I studied the Kendall Jenner Pepsi ad issue. It was a compelling case of an idea that was perhaps well-intended but wasn’t well-received. Another controversial one that caught my attention was the controversy surrounding the cover of Vogue that featured LeBron James and Gisele Bundchen. The cover was compared to popular images of King Kong and sparked racial issues that some people still remember, even though that happened in April 2008. A small business owner or one-man marketing team can very easily get overwhelmed by all their social media accounts. What advice do you have to help keep them on track and involved, but not get lost in the depths of social networking? My best simple advice is to understand your business, your market and what social media platforms would be best for you and your type of business. Second, you should understand what you can handle. Don’t bite off more than what you can chew – especially if you’re a one-person show, trying to do it all. Focus on quality rather than quantity with your social media platform choices. This is one of the reasons we’re so adamant that small businesses should consider our services a positive investment. Trying to take on too much, or not having a strategic approach to your digital marketing, can be as bad, or worse, than not having a presence at all. In other words, not doing it right could actually damage your brand or business. How did your journey get into providing digital media services get started? It realized small businesses need and deserve access to high-caliber professional services, but at a cost that won’t break the bank. I conducted months of research and did a SWOT analysis (strengths, weaknesses, opportunities and threats) to determine the viability of my business. I knew I would face threats, but I focused on the strengths and opportunities. Those gave me the confidence to press forward. In that way, I’m probably not all that different from many of the small businesses I serve, now, and I hope to help, in the future. How do you view the competitive landscape for SG3 Communications? There’s a great deal of competition out there. Because I’m a digital marketing business, I can serve customers pretty much anywhere on the planet. We’re all competing for some of the same businesses. Differentiating yourself, from the competition, is the challenge many businesses face, especially small businesses that are starting up. How did you start believing in your own work? I actively sought feedback from the people I worked with. During the last two-plus decades, I’ve networked with many professionals, including other small business owners. I had confidence in my ability to deliver a reliable product that businesses can believe in because we back up our efforts with metric to show the value of our work. What made you really to want launch and to carve out a niche for SG3 Communications? I believed in the services that I can offer. Starting a business can be scary. The challenge can be daunting. But, anything worth having is worth working for. None of us are getting any younger. We should all strive to do the best we can in the limited time we have. One wish is that I started sooner. What is the biggest lesson that you have learned since you started SG3 Communications? The old saying from the excellent 1989 film “Field of Dreams” is that “if you build it, he will come.” This is partially true. Building it is one part. But, after you build it, you have to sell your product – figuratively and literally. 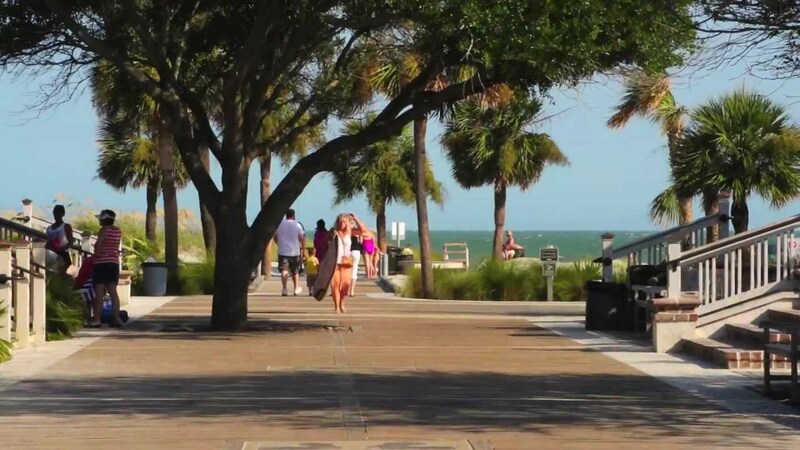 You have to be willing to step in front of people and push what you have to offer – almost to the point of being annoying, but without crossing the line of annoyance. Don’t be afraid to show what you have to offer. Believe in yourself. Believe in what you have to offer. Trust your instincts. Breaking into the digital media services industry isn’t an easy feat. What advice would you give young people looking to form their own companies? Marketing tips? Don’t skimp on your research. Reach out to others who have started businesses. If you can communicate with people who have started similar businesses, that would be even better. Research if there’s a market for your product, what your competition will be, what you need to get started, what your realistic goals are going to be and how you will market your businesses to the audiences you need to reach. Depending on the type of business, you’ll need to research how you will fund the business, what licenses you will need, your taxes, etc. There’s a lot to digest. But, the reward for a successful business makes the work worth it. So, the single biggest piece of advice: Don’t be afraid of your own potential for success. Where do you find your inspiration? I find inspiration in people who overcome so many life challenges and do so with an amazingly positive attitude. Like many others, I’ve overcome challenges. I see us all as overcomers. We can let the triumph of others inspire us to overcome obstacles and to push ahead to the rewards that are calling us. What is your role in the company now? 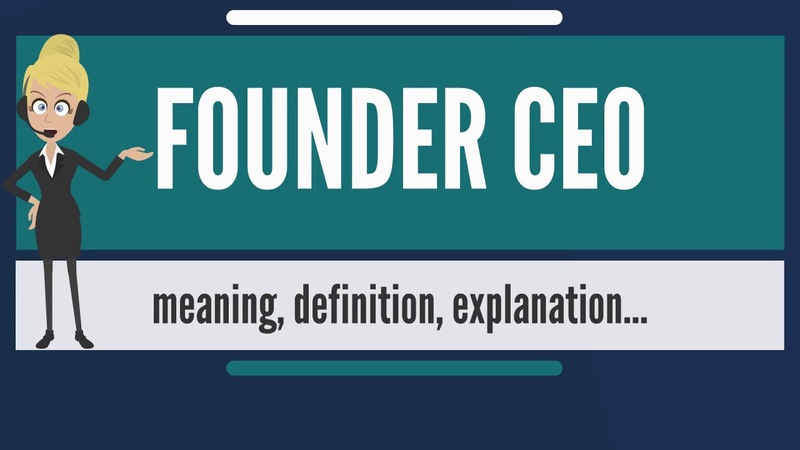 I am the founder and CEO. All new business starts with me. Depending on the project, others on our team are brought in to assist. For example, we have a digital media specialist that works on video projects. And how involved are you in the day-to-day and overall operations? We’re a small shop, so I have my hand in everything. What is one thing you do when you’re feeling stuck creatively? I read and research. I always tell people I never feel bored. There’s too much to do and too much to learn. Is it fair to assume that an award-winning firm like SG3 Communications works with clients with large budgets? We work with businesses with budgets that are large, small and somewhere in between. Annually, SG3 Communications takes on one to two clients, pro bono, to help small businesses that may not be of great financial means and/or are just starting up. Small, medium, and large, we’ll work with you. What happens when SME’s and newly established outfits approach SG3 Communications? Do you turn them away? We offer free consultations to businesses interested in our services or more information about our services. We do this, in part, to determine if this is a good fit for SG3 Communications and for the client. We don’t automatically turn people away. The significant part is that I have a team of people I can call on to work on projects. I’m not putting any limits on SG3 Communications. 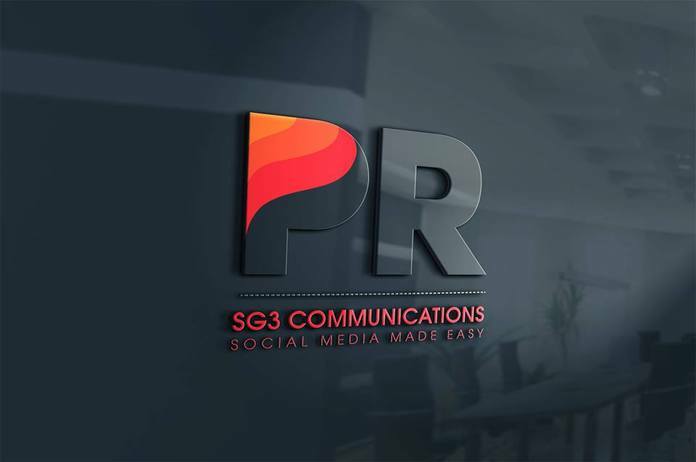 Aside SG3 Communications of course, who else do you think is doing good things in the digital marketing industry right now? One of my good friends, Luke Wyckoff, does a great job with his business, Social Media Energy, based in Denver, Colorado. He is one of the people I’ve talked to, extensively, as I worked to establish SG3 Communications. Another person I’ve worked with, in the past, who is doing great things, is Keisha Reynolds, who runs K&R Communications, based in Norfolk, Virginia. What would you like to achieve before the end of 2018? Right now, we have slots open for clients. SG3 Communications is seeking to fill our open slots with clients interested in strengthening their brands/businesses. What’s one dream you’ve achieved that you’re most proud of and why? Starting my company is one of the biggest goals I’ve had come true. We’re still hustling. If you could go back in time, what advice would you give to your teenage self? Time is precious. Don’t waste it. Make every moment count.